Direct Push, in-situ Chemical oxidation (chemox) treatment is a process where an oxidising chemical is injected into the ground to oxidise organic contaminants. This method can be used to reduce hydrocarbon concentrations (oil, petrol and diesel etc) in groundwater and soils. The in-situ application is particularly useful where time or engineering constraints make other methods such as bioremediation or excavation and disposal of contaminated soils impractical and is well suited to remediation of petrol station sites. Injection lances are pushed into the contaminated material (to pretty much any depth and angle required) using a purpose built continuous percussion drilling rig, a pre-determined volume of oxidising chemical is pumped under pressure through the lances at locations and depths to reach the contaminated horizons. We’ve often found that several injections are required to achieve a significant reduction in contaminant concentrations. There are a range of factors to consider when carrying out this kind of work not least the hazards associated with handling an oxidising solution and it’s movement within the ground during and following the pressure injection. If you want to know more about the chemical oxidation visit our web-site here. We’re always happy to answer your questions so please feel free to phone or e-mail us. Further to Sam’s recent blog you’ll be pleased to know that his recent keyhole surgery went well and he’s now on his way to a full recovery. So why am I writing about this…? 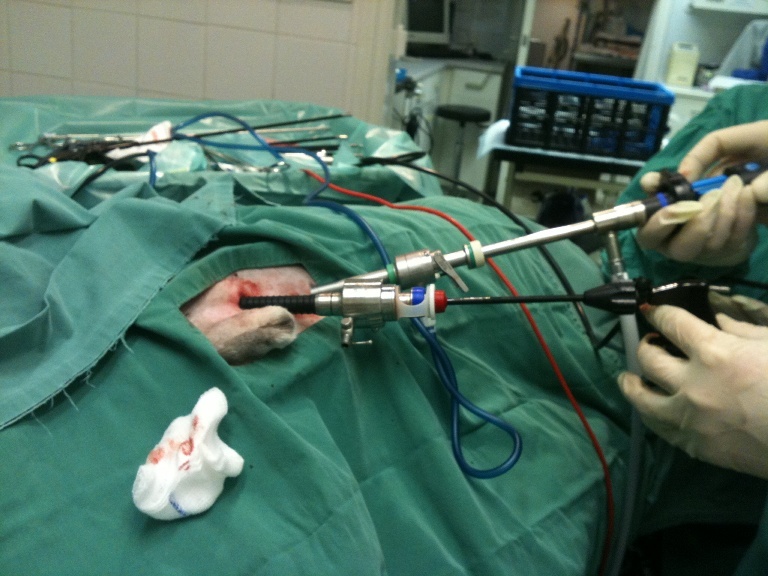 Well keyhole surgery is very similar to in-situ treatment techniques, trust me on this…! You analyse where the problem is, you plan your strategy for remediating the affected area, and then go for it without having to open everything up and causing pain and inconvenience to all concerned. Just as a surgeon would do except they wear green robes and we wear white smurff suits… now there’s a thought should all Environmental Practitioners where green protection suits instead of the normal white ones…? At least we wouldn’t look like a scene from Taggart…! In-situ remediation techniques range from physical removal (e.g. vapour extraction, groundwater extraction and treatment), to bioremediation (e.g. air sparging) and/or chemical treatment (e.g. chemical oxidation). With so many techniques available on the market it’s very possible that one, or a combination of them can help you avoid opening up a very large wound on your site and reduce the pain you will no doubt endure when paying for it. All you need to do is speak to the right people to find out options for your site. 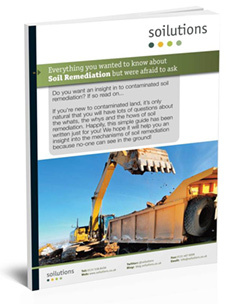 Remediation Contractors are a good place to start.